The last few years has seen the booming popularity of drones being purchased for recreational use. 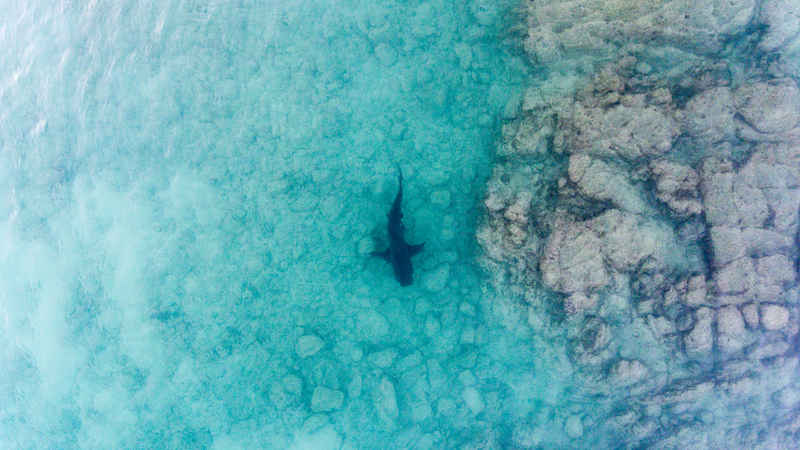 While the debate surrounding the regulation of drones rages on, researchers from the University of Technology Sydney have found an innovative and extremely valuable use for drones; a technology that will help protect swimmers and surfers from shark attacks. As a result, a number of drone shark patrols will be manning dozens of Australia’s beaches this summer. How Do Shark Drones Work? Shark drones, which are being tested until the end of January, are equipped with artificial intelligence designed using thousands of images captured by a drone camera to create an algorithm that can accurately identify different objects in the ocean. According to a report from SBS, the software can differentiate between sea creatures such as sharks, whales, and dolphins, as well as boats, surfers and other objects of interest with an accuracy rating of more than 90%. In comparison, the naked human eye has an accuracy rating of only 16%. The drones also have a flotation device that can be dropped to struggling swimmers when needed. Previously, swimmers who were at risk of drowning had to wait for lifesavers to spot them and travel from the shore in order to be rescued. Drones with flotation devices can be deployed much faster and can go virtually anywhere, increasing the chances of survival. Initial reactions to shark-spotting drones suggest they will be a welcome addition to our beaches. Ali Smith, a competitor at a recent ocean swimming race held at Bilgola beach in Sydney, described the technology as “awesome,” adding that it gives swimmers peace of mind when they go to the ocean. “It is cool to see technology and ocean swimming getting together, and hopefully more people will feel safer and get involved,” he said. Many surf lifesaving clubs, which usually rely on the naked eye to identify sharks and other safety hazards in the water, are also happy with the latest development. “The reason the drone is so important is sometimes we can’t see over the waves, so having the drone is that little piece of extra prevention for us. It gives us that line of sight that we can’t see – both for the surfers, and really for our patrols,” said Romilly Madew, president of Bilgola Surf Lifesaving Club. Meanwhile, while shark spotting drones are being tested and perfected, the drone development team at UTS are hard at work. So, what’s next in drone technology? Spotting crocodiles in the northern parts of the country!